Runners in Ealing can usually be spotted wearing their gear so they will be pleased to hear top sports brand ASICS has just been unveiled as the Official Sportswear and Training Partner of the Ealing Half Marathon. The award-winning Ealing Half Marathon takes place in West London for the 3rd time on Sunday 28th September and gets ever popular. The race now attracts 6,500 runners of all levels from London and beyond, and has established itself as a race not to miss in the running calendar. ASICS will support the race and runners with assets like MY ASICS ; ASICS’ on-line training programme, training plans and expertise advice. MY ASICS is an online tool that helps runners achieve their running goal, allowing them to set up an individual training plan for popular running distances, further details can be found at http://my.asics.co.uk . In addition to the individual planning, runners can also log their runs, find useful information and communicate and share their progress with other runners via the MY ASICS Website and Mobile app. ASICS will also have a presence in the race village on race day and promote the Ealing Half Marathon through its various channels. The Ealing Half Marathon was voted number one race for ‘best atmosphere in 2013’ by Runner’s World UK and also recently won the ‘Best Half Marathon’ award at The Running Awards. One of only three half marathons in London held on fully closed roads, the race starts and finishes in West London’s Lammas Park. 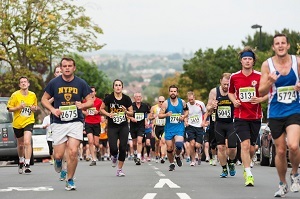 Registration is open with entry fees of £32 for affiliated runners and £34 for unaffiliated runners. All finishers receive a distinctive medal and an online e-goody bag after the race. Go to www.ealinghalfmarathon.com for further details and to register, like the Facebook page www.facebook.com/ealinghalf and follow @EalingHalf on Twitter to keep up to date with all the latest news about the Ealing Half Marathon.